The list goes on, but in my experience, these are some of the biggest things that cause software update problems on a wide variety of operating systems, and iOS is hardly any different. If any of the above may pertain to you, there are a number of things you can try to fix the problem. We’ll discuss those in the next section. Just because the automatic update failed doesn’t mean a manual update will. If you see an error message like the one above, and everything up to this point looks alright, then maybe you should just try going to Settings → General → Software Update and installing any available software updates manually rather than relying on your iOS device to do it automatically. A lot of times, the troubleshooting ends here, but not all the time. So if you continue to have problems after this step, continue on to the next one. 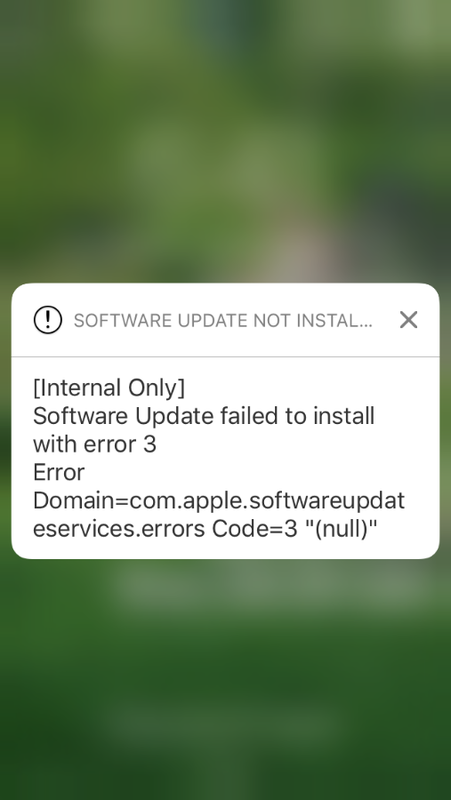 One of the biggest players in software update error messages for iOS devices is a poor internet connection. If you happen to download the firmware only partially, your device will be unable to complete the installation, and if you have a poor internet connection, or lack thereof, your device will eventually time out in the middle of the process. Connecting to a spotty Wi-Fi network runs the risk of losing signal mid-download, and attempting to download your software update over cellular (if your carrier allows this) will simply bite into your data and potentially lead you into being throttled, which could lead to even more downloading problems. Ensure that you’re connected to a reliable Wi-Fi network while you attempt a software update for the best results. Another thing that can cause problems during an attempted software update is a low battery percentage. Since automatic updates require your device to be plugged into a power source when they happen, this is rarely going to be a problem. However if you have a faulty Lightning port or cable, then your device may be disconnecting and reconnecting the power source as you sleep without you even knowing it. This sounds a little glitchy, and that’s because it is. I’ve owned several iPhones where after the Lightning port or the Lightning cable gets worn out, you can wiggle it the wrong way while it’s plugged in and your device will stop charging. If this happens in the middle of a software update, your iPhone may not have sufficient power to complete the update and consequently it will not like the circumstances, so it may throw an error message. The circumstances are even worse when your iPhone runs out of battery juice in the middle of installing a software update rather than simply downloading it, so just hope that never happens or you may end up restoring your device. Check to make sure that your Lightning cable has a good connection by wiggling it and inspect the gold-plated contacts on the edge of the cable for wear. Also make sure you’re using an MFi-certified Lightning cable and not a cheap knockoff. Perhaps you should even attempt wiring your device with a Lightning cable directly rather than relying on a third-party iPhone dock if you’re using one. If you see anything out of the ordinary, replace the cable or have Apple service the Lightning port. If you’re relying on a VPN or a certain kind of DNS server on your iPhone or iPad, then it might be causing problems for your iOS device as it attempts to talk to Apple’s software update server. Some of these services block high-traffic web servers to prevent an overload on their own servers. Other times, their speeds just aren’t fast enough to handle the iOS software updates, which are exponentially increasing with size as Apple introduces new features in not only the software, but also with the new hardware of each handset release. If you suspect it’s a VPN causing the problem, go to Settings → VPN and turn the VPN toggle switch off before attempting the install again. If the VPN turns right back on, then you have VPN on demand enabled, and will need to go to Settings → General → VPN → [tap on the “i” button to the right of the name of the VPN you’re using] → Connect On Demand and turn the toggle switch off. If you’ve added a custom DNS configuration to your Wi-Fi settings, then go to Settings → Wi-Fi → [tap on the “i” button next to your Wi-Fi network name] → DNS and change the server setting to something more reliable. Google’s own DNS server (8.8.8.8) or (8.8.4.4) is pretty reliable, so try it instead. Once you’ve done one of the above, attempt the update again manually from Settings → General → Software Update. If the internet connection and charging cable/port look alright, you may want to try reboot the device. Sometimes the device is just being cranky and rebooting it will eliminate any inconsistencies in the current software you have and reinitialize it. It sounds stupid, but a lot of times it works. This not only restarts your software, but it also reboots all of your device’s hardware and all of their drivers, things that can all contribute to less-than-satisfactory software update results. After a reboot, go to Settings → General → Software Update and attempt the software update again manually. It may work properly this time. If your iPhone or iPad is connected to your Wi-Fi network and shows a strong signal, that doesn’t always mean you have a good internet connection. It’s possible that your wireless router is broadcasting an empty signal and the modem isn’t giving you access to the internet. If this happens, it will appear as though you’re connected to your Wi-Fi, but websites and other internet-based apps won’t load. As you can imagine, software updates won’t be able to download in this condition either. It’s possible that your internet was working properly when you went to sleep, but perhaps at some point during the night, your ISP had an internet outage, and it caused issues with the download. If you suspect this is the case based on the symptoms mentioned above, attempt a reboot of the wireless router, and then attempt the software update manually once again from Settings → General → Software Update. 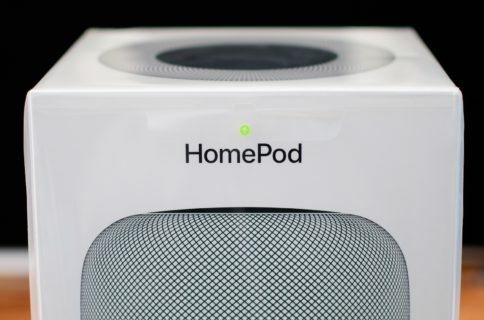 If you’ve made it this far and you’re still getting error messages after attempting an automatic software update, you may have no choice but to connect your device to iTunes. After connecting to iTunes, go ahead and allow iTunes to check for software updates for your device. Although this method circumvents the iOS device’s OTA update function, it’s typically far more reliable. If iTunes detects that a new firmware is available, allow the update to be downloaded and installed on the device. If that doesn’t work, move forward with the last resort by backing up your device either with iCloud or iTunes and then proceed with a DFU mode restore to the latest iOS firmware, which can be had from our downloads page. After your device is finished restoring to factory settings, you can restore your device from the backup you saved and all your data will be returned to your device as if you never restored your device in the first place. It’s possible that Apple’s software update servers are down and undergoing maintenance. This happens from time to time. You can check Apple’s online system status web page to see if the update servers are down. If they are, you won’t be able to complete a software update download. Even if you have the firmware on your device already, the handshake that needs to take place between your device and the update server for the update to initiate will be unable to take place. If you see that the server is down, wait a few more hours until it’s back up. Most maintenance doesn’t take more than 20-30 minutes, but waiting a little longer can’t hurt, especially if you’re a busy person and have better things to do. If all else fails, and the update server is fully functional, have Apple service the device. It’s not typical for you to have gotten this far without there being some kind of underlying problem with the device. Apple may be able to walk you through a fix or could recommend a replacement device under warranty. Most issues should have been resolved well before getting to the final steps, but there are always unusual cases out there. Hopefully you were able to get your device to update properly even after a failed automatic update that was supposed to happen at night while you were napping away. Have you ever had an automatic software update fail before? If so, what fixed it for you? Share in the comments below!